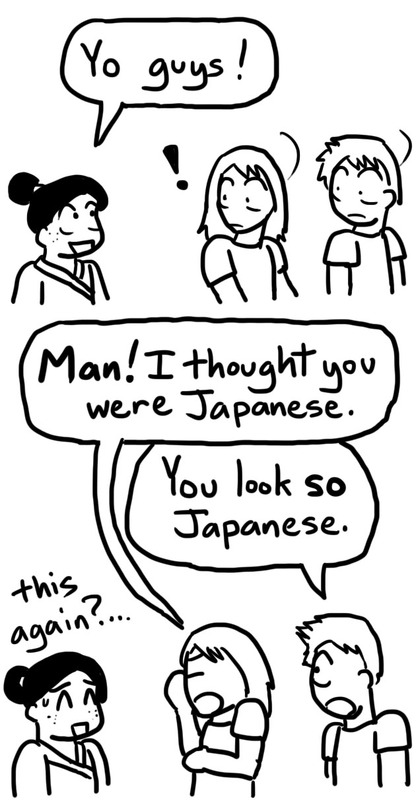 Breathing is irrelevant in a Japanese kimono | I think in comics. More photos from my Japan trip can be viewed at my tumblr! While we were in Sapporo, our sensei took us to an event where we were allowed to try on the traditional Japanese dress, the kimono. We could get also our hair styled, our makeup done—the whole nine yards, so to speak. Now, I had always wanted to try on a Japanese kimono. I was even considering buying one in Japan. I had always admired how elegant and pretty they are. This event changed my mind. It’s not that the kimono weren’t gorgeous. It’s just that wearing them is complicated. 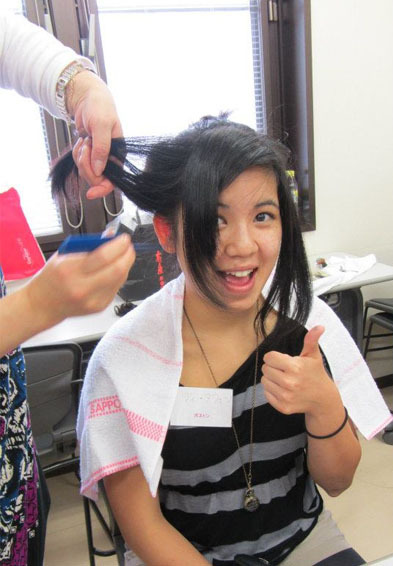 First, I got my hair done—not by one of the younger stylists, but one who looked as though she was in her 50’s or so. And man, did she go at it. 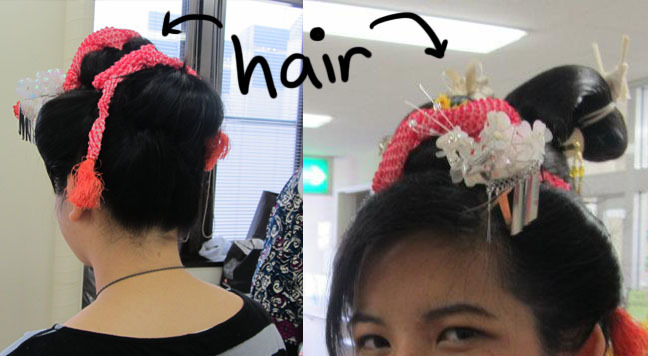 It was all pins, clips, and a giant clump of something that she stuck in my hair. To give it volume, apparently. Basically I had no idea what she was doing. There’s more to a kimono than just the pretty outer dress. There’s the additional hadajuban and koshimaki worn underneath. There’s the accessories. There’s the flip-flop friendly tabi socks with the geta sandals to match. 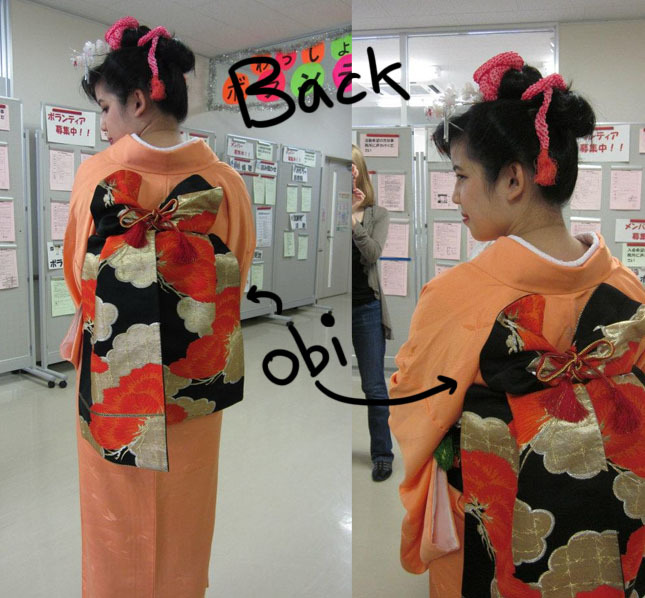 The most complicated part, however, is the sash known as the obi. The obi can be tied in a variety of styles, varying in complexity and design. The lady helping me happened to like me—I had managed to strike up a conversation in Japanese. She was obviously trying hard to make it look good. In addition to the main belt, the obi, there’s about ten million smaller ties meant to help support the main one. 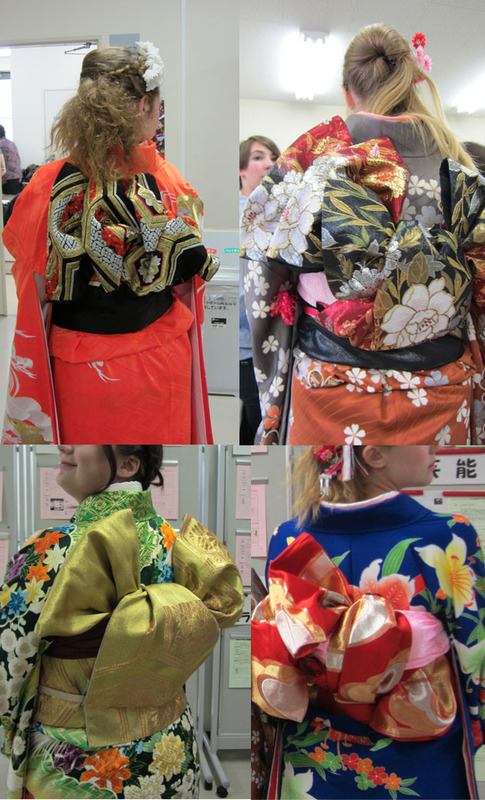 I was only able to wear the kimono for about 20 minutes, though—there were other gaijin waiting for their turn. Still, I managed to snap some photos! Wearing the kimono was a ton of fun—but it was definitely more complicated than, say, a Vietnamese ao dai. Buying a kimono can also run you hundreds and hundreds of dollars, especially when you’re looking for a full set. Wedding kimonos can easily hit $10,000 or more. It’s possible to save money by buying used, but with the kimono, undergarments, geta, tabi… hell, I don’t have the luggage space for that. 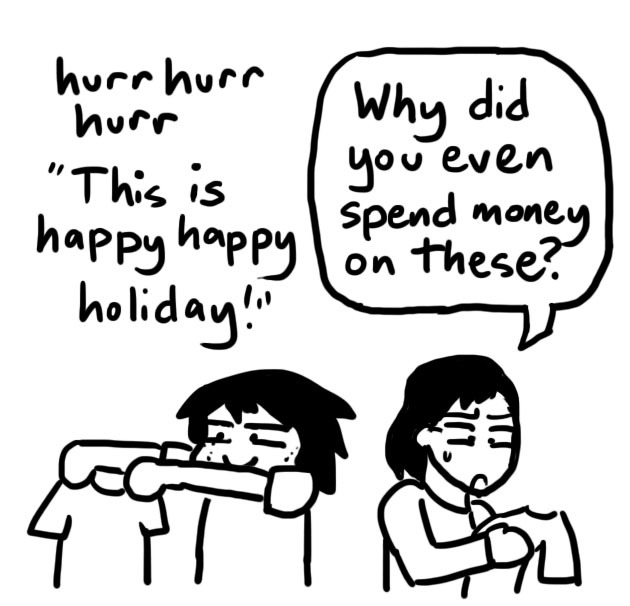 Though as one who also brought home a ton of Engrish t-shirts, I have no room to talk. Either way, you guys do look great! 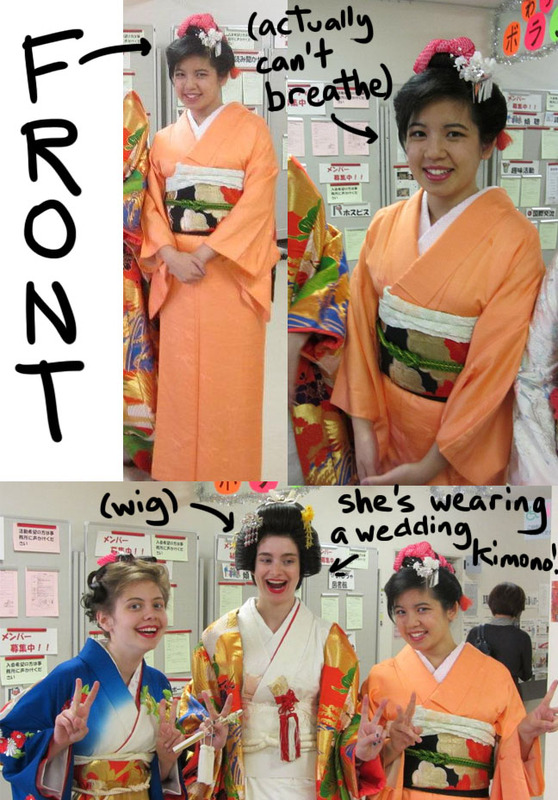 But you actually look a lot better in a kimono – probably because you don’t look like a Westerner… I love your hair! Although, I didn’t know so much about the additional belts to support the main one, and the cartoon makes your post more interesting, too! Haha thanks! I was actually informed that I was dressed in a very “old” style of kimono– that is, the style that old ladies and grandmothers wear. Ah, well– it looks the same to me! And the hair was crazy complex. To this day, I have no idea how she did it! Pingback: What sensei told us: “You’re going to be walking in a parade!” What she should have told us: “You’re going to be walking in a parade for 7 hours straight!” | I think in comics.